Spaces are limited so register your 6-12 year old today! 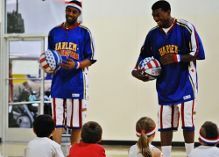 Register through this link and automatically save $10 OFF Harlem Globetrotters Summer Skills Clinics with promo code USFAMILY. 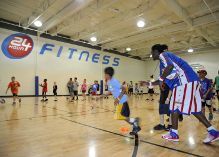 I've listed the 2014 Basketball Clinic Houston Area Locations below; you can find a list of all 2014 Harlem Globetrotters Summer Skills Clinics here.